Greetings from the Asylum: Feelin' SPICY! I dare you to find something in this mess! Look at this mess! My spice cupboard is a massive hodge-podge of if disorganization, and today I am going to reclaim the tidy arrangement that it once gloried in! First, everything had to come out of that cabinet. I didn't know much of what I had in there, and I couldn't find the things that I knew were tucked away somewhere. This picture is only of the jars that were in the left half of the bottom shelf. They completely filled the island in my kitchen and I still had 5/6 of the cabinet left to empty. By the time I'd emptied everything, there was not a bit of kitchen counter space to be had anywhere in the kitchen. Unfortunately, I did not get a picture of that mess. Truth be told if I knew what an icky mess it would be to replace the shelf paper before I began, I would have left that an unfinished project forever. The new shelf paper went in easily on the bottom portion of the cabinet. "Easy," I thought to myself as I reached for the second shelf to remove it. As I was maneuvering it out of the cabinet, I bumped one of the shelf brackets that supported the shelf in the cabinet. You bet, it broke. The tiny pin that was inserted into the support hole had snapped off and was now permanently stuck in the hole. That meant that I now had to move all of the other supports to have a well-supported shelf. As I moved them, other supports simply broke off in my hands. Sheesh! What a pain! After a trip to Lowe's, I had lots of shiny new supports that were just waiting to be eased into the new holes. Did I say eased? Ha ha ha ha ha... Oh sorry. The pins on the new supports had a larger diameter than the holes they were to inhabit. I had to enlarge the new holes with a larger drill bit and JAM them into place further with a rubber mallet. I was sweating! Shiny new shelf support bracket! I had the whole top shelf organized when I realized that I'd neglected to change the shelf paper. I took everything back off the shelf and did the papering. (Naturally, I broke more shelf supports in the process.) Here are some close-ups of how the shelf looks now! I maximized the space on this lower shelf by using plastic coated wire shelves that I got at Lowe's while I was buying shelf supports. I also got the baskets with the round holes as well. The three-tiered spice rack was open on the bottom and needed a solid surface to sit on because the wire shelf would not support it. This was my solution. I used some of the left-over chipboard from the Kid's Document Keeper project. It was the perfect size! Yea! Recycling! Here is the whole cabinet for full effect. I live in the Southwest, but this is ridiculous! Now in defense of this one, I have a recipe to make your own mustard that I have been meaning to try. Now that I have found my supplies, I should get on it. Here is a close up of the inventory spreadsheet. I printed it double-sided, but it still took three sheets of paper. It is attached to the door with a Command hook so it isn't permanent. It is really a small coffee grinder, but since I never touch the stuff, it is awesome for grinding spices (like whole coriander seeds). This is made by The Pampered Chef. I love it! I use it mostly to chop chocolate. This is a meat thermometer attached to a timer. The probe goes into your meat (rib roast for example) while the rest of the unit sits outside the oven. You can set the timer to go off when the desired internal temperature of the meat is reached. That way you can be sure to not overcook your meat. I use it to make great pork chops and chicken breasts! This was a huge job that took days to complete not the hours that I was expecting. I have loved the end result. I know just where to go to find everything I need. I just need to figure out what to do with all of that cumin. The craft closet is my next organizational undertaking...Yikes! I am linking up to Alphabe-Thursday! I would love it if you became a follower of this blog. You can find me HERE on Facebook and HERE on Pinterest. If you found this post useful, you might enjoy these other organizational posts: Fun In A File Folder, I Am So Hooked Up! and Kid's Document Keeper. Tanya your cabinet is beautiful. Very entertaining reading the work that went into achieving the task. I would add the it was complicated. Tanya, it is AMAZING!!!!! You did a beeeeeeeuitful job! And I love the shelf paper, very nice!!! I'm so proud of you for hanging through all that, especially since I heard you during parts of the heinous process!!! Sincerely a trooper here! I don't know if I would have been so determined. The end result is beautiful, You rock!!! Bravo!! 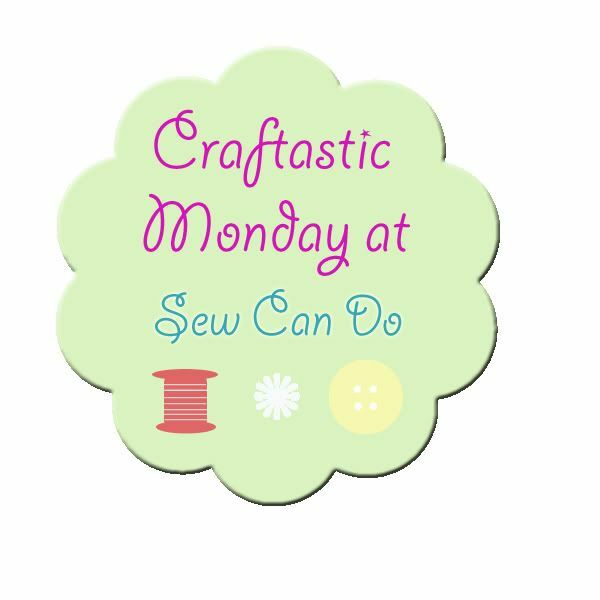 I cannot WAIT to see what you do with the craft closet, I need some serious inspiration there! ;) Love You!! Wow. I say its worth it if you use all those spices! Now that much cumin probably would last me only a few months. We eat tacos weekly! I will seriously pay you to come to my house and organize my cabinets! I have such a small pantry that my spices would be lost forever, so I bought two coated wire racks that I mounted inside the door. They are just deep enough for two rows of spice jars on each little shelf. No more hunting for what I need!! there are four little shelves on each one. Perfect. I would like to say that your beautiful accomplishment motivated me to get off my duff and do something around my house but it did NOT. I commend you, though, on really accomplishing something fabulous. It all looks great and the idea of documenting where everything is is superb. I did this awhile back and labeled expiration dates on my spices in bold marker so I could clearly see it. I don't cook as much as I used to do, now that all three sons are out of the house. I love Indian food, though, and cumin is often a part of those recipes! I giggled through your entire post. Only because it was my story. Why do the simplest of tasks so often become big projects. Wow, fabulous job & I would love to have that inventory! Inspiring. I'm laughing at all the multiples of stuff. So, I'm not the only one? You are a genius! I love this redo. If I had a cupboard to spare I would totally do this! I always have trouble with organization...I think I need to hire you! I prefer the Container Stores Plastic shelves that slide together and fit most cabinets to a T. They have graduated shelves in two sizes that allow you to see the spice bottles behind the front row of spice bottles. I have used them in other spaces also. The Container Store also has catalogs to do mail order. This is my favorite store for getting organized!